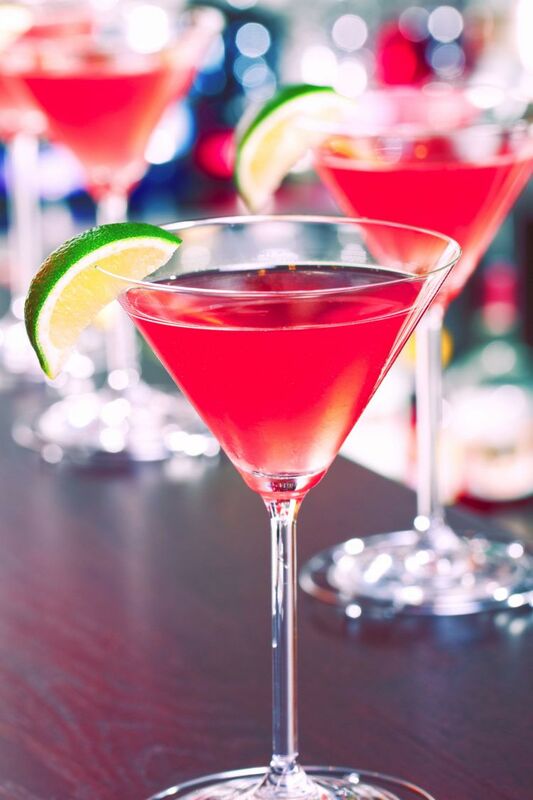 You might think the Vodka Cranberry drink is simply vodka and cranberry juice, especially since that’s how some bars serve it. Well, some bars are lazy and shameful. This drink actually has four ingredients, and the last two are very important to the flavor. That means this drink recipe is actually a little more complicated than its name might lead you to believe. A proper Vodka Cranberry also uses a touch of Rose’s sweetened lime and some orange juice to bring out the best of the cranberry flavor. 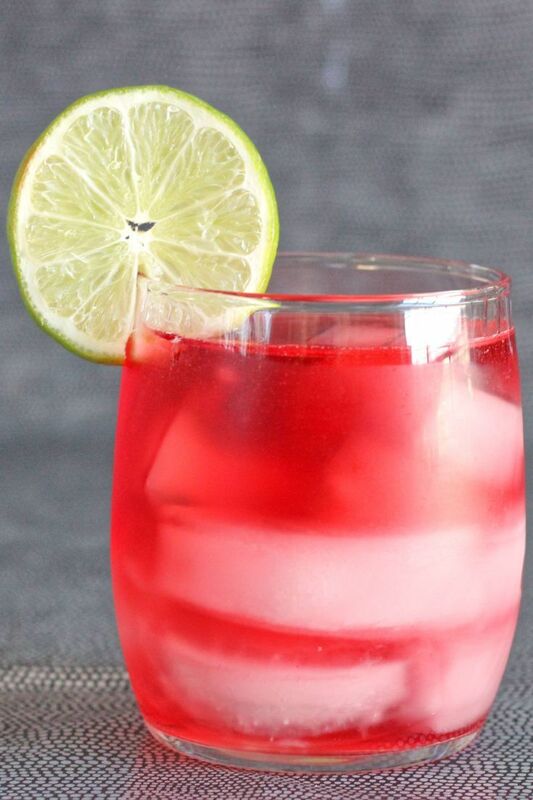 Because vodka doesn’t really change the flavor of the cranberry juice, this cocktail would just taste like straight cranberry juice without some help. The orange and lime add hints of something sharp and bright. This cocktail recipe is pretty light on the alcohol, so feel free to vary it according to your taste and tolerance. The only alcohol in this drink is vodka, so you can add a little more if you prefer. You can also leave it out completely when you want a mocktail. That makes it great for parties where some guests might not be drinking. If you’re making it as a virgin cocktail, you might want to add a little more of the orange and lime to make it extra special. It doesn’t take much – just a few dashes, or maybe half an ounce. The Vodka Cranberry is sometimes thought of as a beginner’s drink because it’s not very strong and you don’t really taste the alcohol. But it’s a delicious drink for anyone. The great thing about this drink is how refreshing it is without being strong. 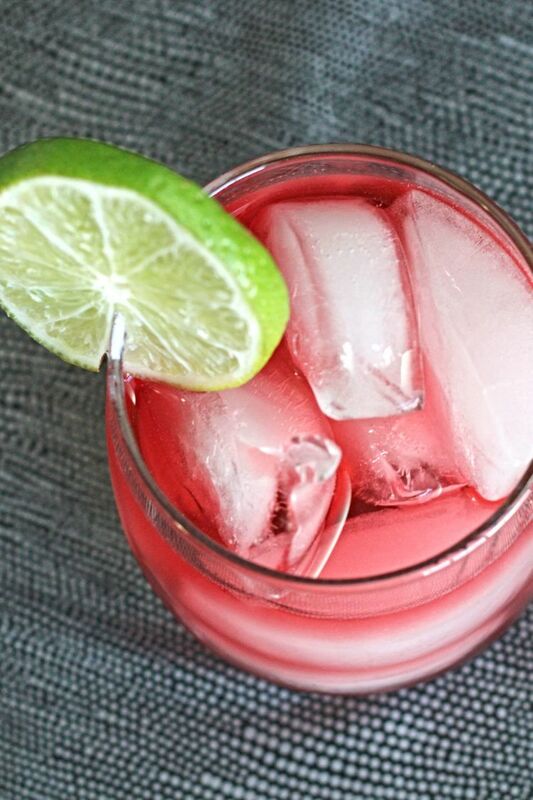 The lime and cranberry are both tart, which really wakes up your taste buds. But you also get some sweetness from the dash of orange juice, and that makes it delicious. Note that some bartenders do make this drink much stronger. The classic recipe only calls for an ounce of vodka, but some put in a good bit more. When it’s mixed according to this recipe, the only reason you’ll know the vodka is in there is that slight burn you feel as it goes down. And it is really slight. If you want a regular strength drink, you certainly can bump the vodka up to the standard 1 1/2 ounces without changing the flavor noticeably. If you want your drink on the strong side, bump it up to two ounces of vodka and just reduce the cranberry juice accordingly. 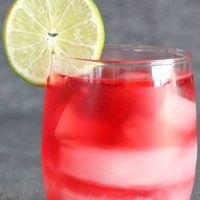 While the Vodka Cranberry might not sound like your usual brunch drink, it actually works because it has such a high ratio of fruit juice to alcohol. And cranberry juice tastes great with a lot of brunch foods. Try it with omelettes or quiche, or breakfast pastries. It goes surprisingly well with a good cinnamon bun. 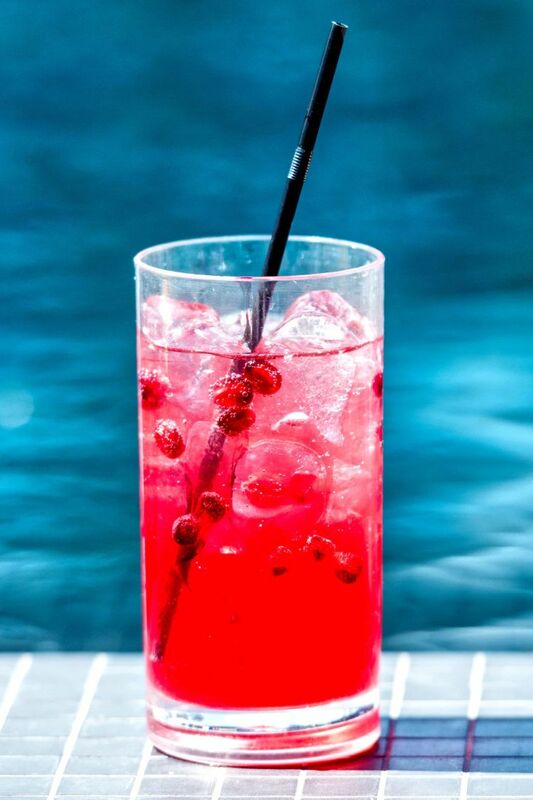 Because this drink contains several ounces of cranberry juice, it’s also refreshing in the sense that it’s truly hydrating. It’s even got a few vitamins in it. And that makes it great for a night of dancing. It puts back some of the vitamins and hydration you’re sweating out as you enjoy yourself. It’s also great for a day in hot weather. It’s perfect for poolside or anytime you’re going to be out in the heat. If you like this drink, you should also check out the Desert Shield, which blends vodka and cranberry with cranberry liqueur. If you want pure cranberry flavor, that’s the drink for you. There’s also the Crystal Cranberry, which features amaretto, Crown Royal, gin, cranberry juice and more. It does make a change from this drink, but the taste of it is wonderful. There’s also the C&T Cocktail, which blends cranberry and gin with Absolut Mandarin and more. That one is so good. 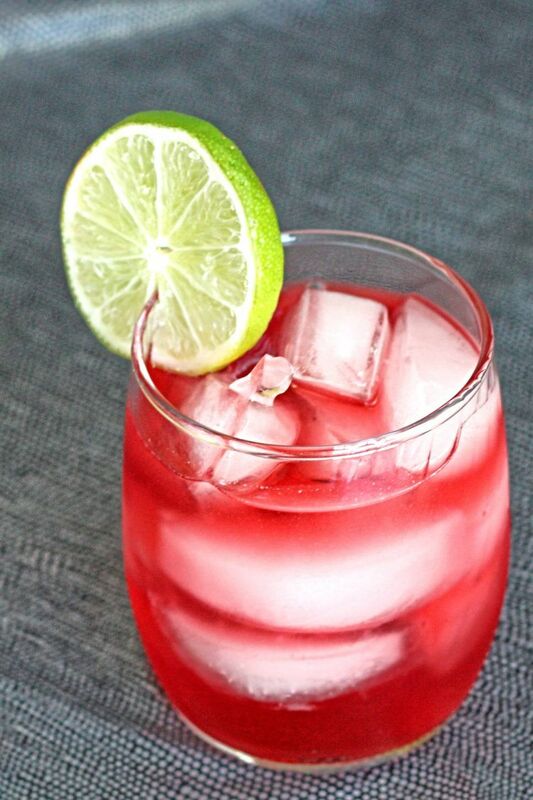 The Vodka Cranberry is a very simple drink to make, but it's so delicious. With tart cranberry and lime, and a dash of sweet orange juice, it's great for an evening out. Fill an old-fashioned glass halfway up with ice. Pour all the ingredients in. Serve with a straw for stirring and sipping. What concentragted mix do you suggest for frozen drink with Cranberry juice and vodka to help keep the drink from separating quickly. Using a blender to prepare. i like to find 100% cranberry juice and do a 2:2:1 of any mid to top vodka, 100% cranberry juice, and last cranberry juice cocktail. 100% cranberry is very tart and masks well allowing for a more powerful cocktail. however it is much to bitter on its own so diluting it with cocktail will sweeten and dilute. Enjoy!! That sounds good! I like less sweetness in my cocktails. Orange juice and orange bitters are TOTALLY different. It might taste good, but they don’t really taste much like orange at all. You could do a splash of Cointreau or triple sec or some other orange liqueur, though, in place of the orange juice. They taste more like OJ. There’s not much to this one but I love it. Only I make it with fresh squeezes lime juice instead of the bottle stuff.